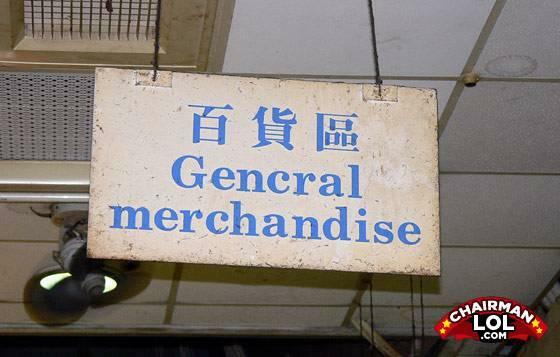 General Merchandise: Those Chinese misspelled my name again! Corporal Punishment! Corporal Punishment: Yes Sir? What is the Modern Day slave trade? I don't like being overtaken. It's a sign of weakness.